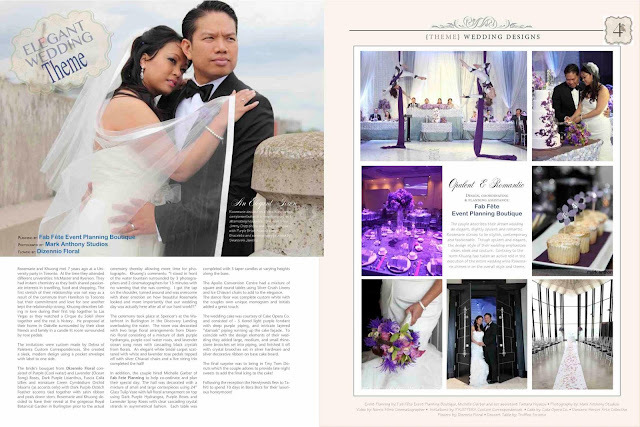 Fab Fete Event Planning Boutique Blog: Elegant Wedding Magazine Feature! Khu & Rose were such a wonderful to work with. They exuded class and elegance and had a keen sense of style. Their love for eachother was so strong and working with them to turn their dream wedding into reality was a pleasure. Thank you for letting Fab Fete Event Planning be part of your special day and we are honoured to have been chosen to be featured in the most recent Elegant Wedding Magazine issue.